Kalpesh Patel is a driving force for Solution Analysts, a company headquartered in India with an office in USA. As a technocrat, his passion remains in establishing automation at workplace through providing IoT-enabled mobile app solutions to the global clientele. With over sixteen years of experience in the tech domain, he helps startups, SMEs, and large enterprises achieve their goals by offering them result-driven and strategic IT solutions. Solution Analysts was established in the year 2011 with a view to providing enterprise-grade IT solutions by incorporating the latest and futuristic technologies. The company has so far created over 350 applications and 500+ tech solutions for over 300 trusted clients worldwide. Company’s strong presence remains in the domains of mobile apps, web development, eCommerce, and enterprise software development since inception. As a 360-degree solutions provider, Solution Analysts also deals in the futuristic technologies including IoT (Internet of Things), iBeacons, and wearable technology to assist enterprise clients with usability, engagement, productivity improvement, etc. across different industry verticals. Focus on quality and client-centric approach always remain at the company’s core.  We have one of the most experienced and versatile teams in mobile app development domain. Our team of expert mobile app developers works on apps for over 8 years. On an average, our mobile app developers have over 5 years development experience in their respective technologies, viz. Android and iOS. We have developed over 350 apps with a high success rate in both the app stores. We have accomplished enterprise-grade app projects across different industry verticals for our global clients. Our expert developers have set many milestones while providing user-friendly and feature-rich mobile app solutions. With hands-on experience in the technologies like Swift, React Native, Ionic, iBeacons, and IoT, our developers can meet the client’s business requirements with the next-gen app solutions. Technology is an ever-changing phenomenon! We arrange in-house training sessions and motivate our professionals to participate in seminars as well as webinars to make sure that we remain at the forefront of the thriving tech domain. We help the team of developers remain updated with the technological advancements to make them ready to meet the technology demands of 2018 and beyond. At Solution Analysts, it’s our endeavor to serve the global enterprise clients with high-quality solutions. We follow a time-tested and well-defined approach to help our clients finalize the right platform for app development. We analyze their requirements, target audience and market trends before initiating development process. After understanding the project’s every aspect thoroughly, we suggest the technology that best suits them. We believe in providing highly efficient and profitable software solutions to our clients with an ongoing support. For example, if the client needs to target iPhone-using audience, we suggest native iOS platform, and if the business demands to address a huge smartphone-using audience in general, we suggest the Ionic platform for developing multi-platform apps. At Solution Analysts, we believe in using the cutting-edge tools and technologies to meet the client’s diverse business requirements. As per the trend, we have added app development services related to the revolutionary Blockchain technology in our offerings. What’s more, we will also focus on improving the user experience by integrating the latest enhancements offered by Android and iOS platforms. 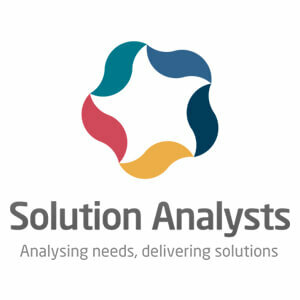 For trending technologies, you may like to visit our website Solutionanalysts.com. At Solution Analysts, we focus on delivering the client-centric and result-oriented IT solutions in a cost-effective way. Our app and web solutions are backed by the best-in-class support system. It is an outcome of our dedicated efforts and focus on quality that we have gained the trust of over 150 clients worldwide. As we witness the rise in competition in the ever-changing business scenario, we use the dynamic development process to give an edge to our clients. Agile approach and innovative attitude are in our DNA that will help our clients to get the most advanced IT solutions in the coming future. Transparency and openness are two major aspects of our pricing model. We offer flexibility and scalability while suggesting the hiring model as per our client’s project requirements. We charge reasonable hourly rates and assign the best resources with the advanced tools. Our pricing model is designed to fit every budget and project size. We fix the cost by considering a team of dedicated developers for 8 hours a day along with a PM (Project Manager). Our experienced professionals focus on integrating the emerging technologies like AI (Artificial Intelligence), IoT, Chatbots, AR (Augmented Reality), and Virtual Reality (VR) in the customized app solutions. We are always ready to embrace and adapt to the changes take place in the thriving IT industry to give the most futuristic solutions to our esteemed clients. We look forward to making these technologies an integral part of our software development process. At Solution Analysts, our vision remains to provide convenience to our clients through bringing automation in their business process. In the current age of the on-demand economy and mCommerce, we feel that the healthcare, eCommerce, hospitality, and BFSI sectors will be the biggest beneficiaries of the latest tools and techniques. The major reasons behind this consideration are the huge hidden potential and an immense scope of growth for these sectors. We would like to groom ourselves more in our core areas of expertise- mobile app development and eCommerce solutions. We are looking forward to identifying the scope and embrace the advancements in on-demand app domain along with the integration of IoT, AI, and Blockchain. We want to strengthen our position as a trusted global mobile application development services provider by offering end-to-end IT solutions.